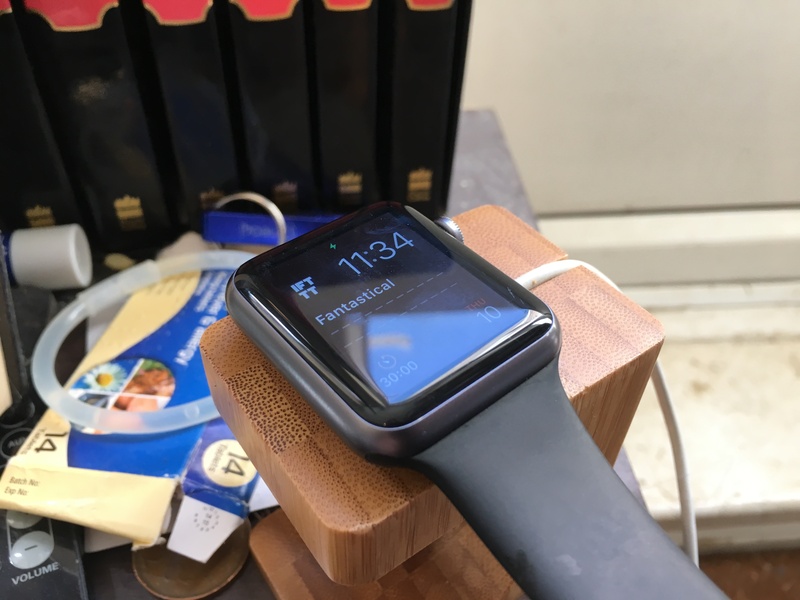 This is a series zero Apple Watch, charging on my nightstand because I forgot to do so last night. It’ll last a couple of days, but I try to stay in the habit of charging it overnight. Has touch display and voice commands. This is a Seiko analogue watch, a christmas present from my parents a decade or so ago. 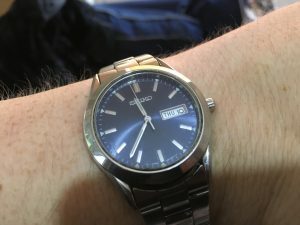 It was my daily-wear watch until switched to smart watches. Notably, it doesn’t respond when you ask it to turn the lights up, or set a timer. This is Scotty attempting to talk to a PC through a mouse or, as I like to call it, a tableau of my morning.